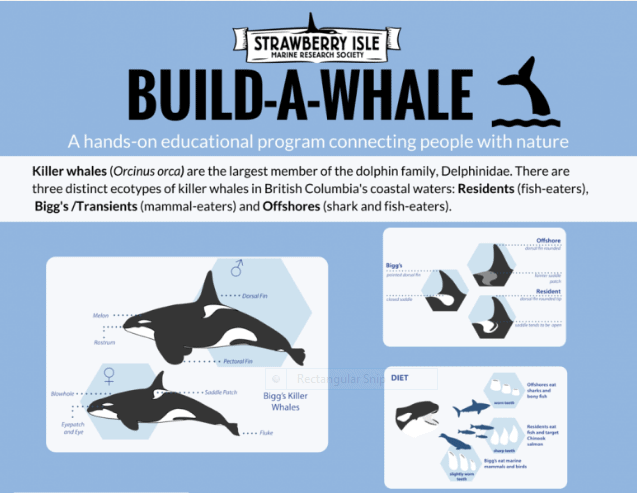 Build-a-Whale Free Drop-in Activity: Sat. Nov. 24, 2018 from 10am-2pm at Amphitrite Lighthouse. Join Strawberry Isle Marine Research Society for a hands-on interactive program with real whale bones, drop by and learn all about whales! Question: What whales have teeth? Learn how to identify Orcas that pass by our shores- there are three distinct ecotypes with very unique diets and behaviour. Bring your whale questions.